Music	2013, 2014, dj ecool, hip-hop, mixtape, party mix, straight up mixing. Chapters Of Sounds is a monthly mixtape series that I started last month. Each & every month I plan on bringing you different editions of Chapters Of Sounds. 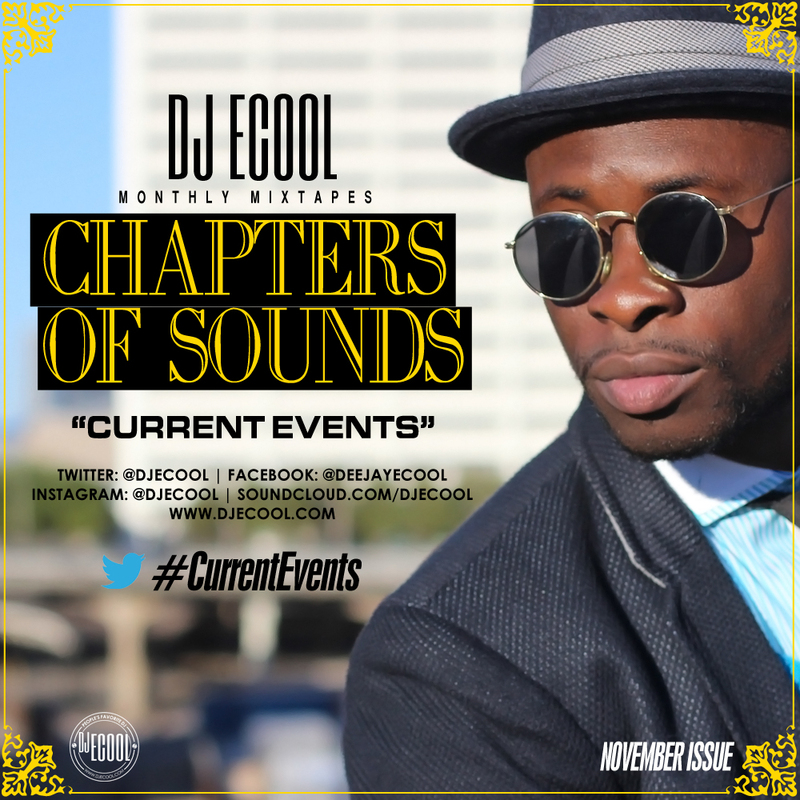 In a year (October 2014), I should have 12 Chapters of Sounds to make this mixtape series complete. This month is called #CURRENTEVENTS. The mixtape includes the newest Afrobeat hits from major African countries. Be sure to share with your friends & network via email, Twitter or Instagram and use the hashtag, #CURRENTEVENTS. A compilation of current Afrobeat bangers from Major African countries. [ECOOL Skit] Why Do Africans Like To Clap Every Time They Dance?